A developer’s code editor is a personal choice, and we are not trying to create a dustup about whose personal favorite is being snubbed. Our only goal is to present the field of contenders as we see them and allow everyone to come to their own conclusions based on their personal needs and preferences. With that in mind, please note that we haven’t placed the editors below in any ranking order. Visual Studio Code (or VS Code) has quickly become the standard for software development since its release in 2015. Like most Microsoft products these days, VS Code is available on all major platforms. That means that developers on Mac, Windows, and Linux can use this incredibly powerful tool. Not quite an IDE (that’s actually a separate product altogether), VS Code can take on most of the tasks of an IDE with the right configuration and plugin library. The community for VS Code is incredibly passionate, and that works to everyone’s benefit. With VS Code being open source, that community works exceptionally hard to keep VS Code competitive with the rest of the field. Written in Node.js and Electron, you can be sure the code isn’t going to become outdated or lag behind any time soon. 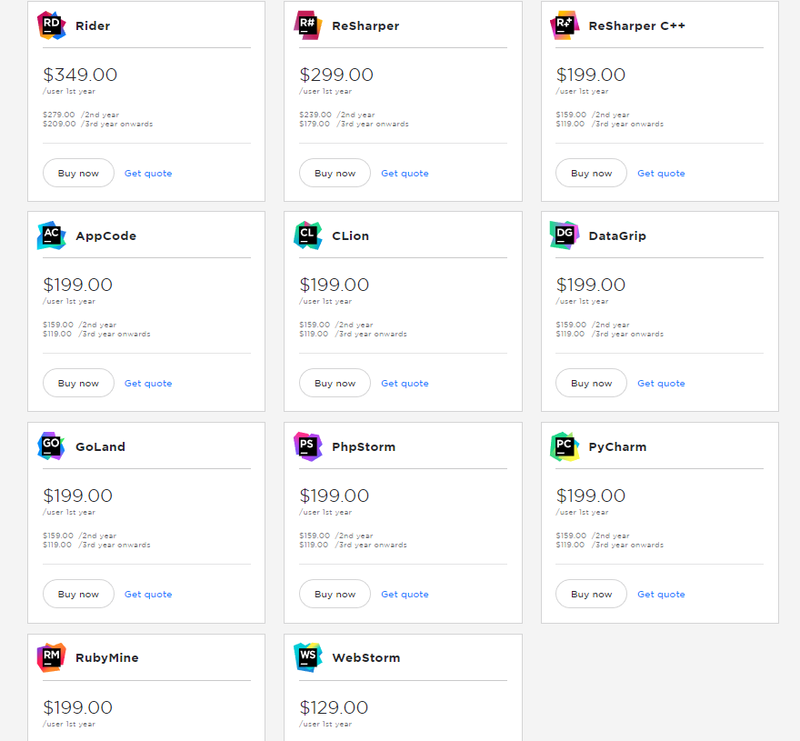 …you use code editors. It’s that good, and it’s that popular. While some people might be put off by the Microsoft development, that isn’t a particularly big deal with VS Code. Sure, the UI shares similarities between some of the MS products (which can be good or bad for you), but that’s purely superficial. VS Code works great on every platform we’ve tried it on, and there hasn’t been a noticeable difference in performance between the three, either. Even though VS Code does have a ton of packages you can download to customize the code editor to whatever you want it to be, you don’t have to. It works well from the moment you first run it, and the integrated Git and debugger just work. You don’t have to fiddle with them to get them configured well. 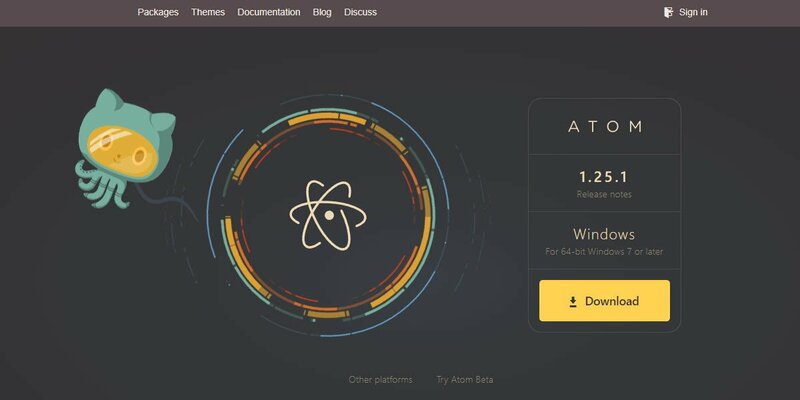 Atom, a project started by Github and thus now owned by Microsoft, has established itself as one of the premiere code and text editors out there. The best part is that Atom is totally free, open source, and highly customizable. Built around a minimal core, Atom comes with multiple language-specific packages built in, and the library of community-written ones has exploded over the years since the editor was first released. Atom is as robust as you need it to be – if the editor doesn’t do something you need, you can create that feature yourself. The Teletype features has been embraced by users, too. It allows multiple developers to work on the same code from remote locations. It does directly compete with MS’s poster child VS Code, but they are maintaining both editors as a gesture of good faith to the communities surrounding each. …you’re the kind of person who likes to have your software be exactly what they want it to be and do exactly what you want it to do. 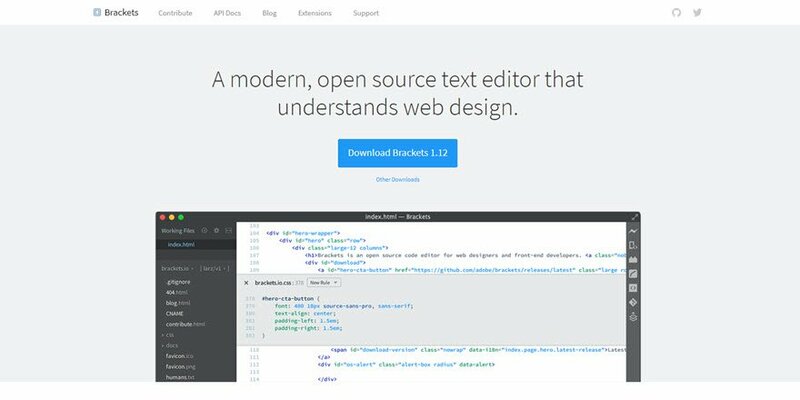 With the growing library of mods and add-ons, Atom is one of the most customizable code editors out there. It works great out of the box, but its real power comes from the open source community around it and the almost infinite customizations you can add to it yourself. Some folks are put off by the Microsoft acquisition of GitHub, but in the months since, Atom has continued to flourish. 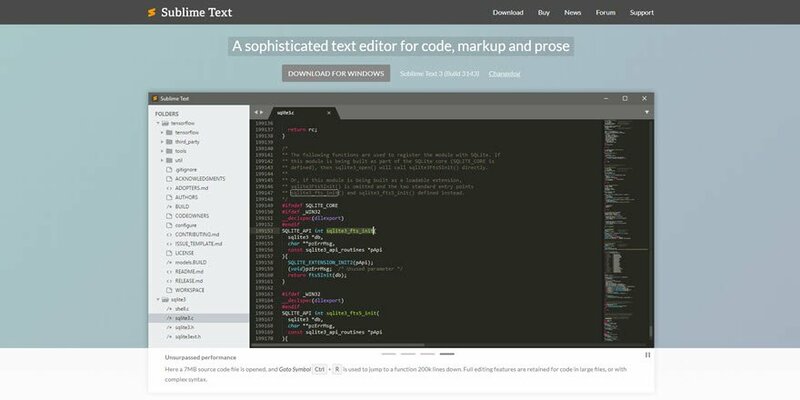 Sublime Text is pretty close to the industry standard for text editors. There’s a reason for that. Being designed for code, markup, and prose is a big plus. They haven’t put the same consideration into their prose workflows as say, Scrivener or Final Draft, but you have the option of doing everything within one editor. Like Atom and VS Code, Sublime Text has as an incredibly active package repository that extends its features far beyond the initial download. Sublime Text is a beautiful, feature-rich code editor. Maybe the biggest draw is that it puts a premium on user experience. The UX is probably the tightest of every entry on the list. This is because of features like distraction-free writing mode, quick shortcuts/search, split editing, and much more. One of the biggest features users flaunt is the ridiculously intuitive keyboard shortcut system. Notepad++ is an extremely popular text editor. That is in part because it’s free and GPL-licensed open source. Even more than that, though, the reason it’s one of the best text editors around is that it’s simple. It doesn’t try to be Atom or VS Code or Sublime Text. It’s a code editor, plain and simple. Beginners and veterans can get everything they need out of it. Coders and developers often recommend this one as a great option for someone just getting into code editing and might be overwhelmed by the environment offered up by others. Notepad++ is a wonderful, simple option not just for beginners, but developers at any level. A lot of professional devs use Notepad++ as their daily driver because it’s light, effective, and does what it needs to do. The downside: the software is Windows-only. Many devs are on Mac or Linux, but for those living in Microsoft’s turf, this is a great option to try out since it’s free. You’ve got nothing to lose. Especially if you’re coming new to the field. …you are new to code editors and want to ease your way in. Additionally, if you want a resource-light option, Notepad++ is it. Because of how simple and easy the developers have made it, you’re not going to bog down your system as you work. That means you might not be loading gigabytes of information at once, but for run-of-the-mill web development tasks and so on, Notepad++ is more than enough. …you want to learn all the nuance and power of a full IDE. This might not be the best option for brand-new coders because working in an integrated development environment can be overwhelming at first, but if you’re willing to put in the effort to learn how the environment works, you will have a fantastic tool. With Bluefish, you can do a lot if you want to put in a bit of effort learning how to make it sing. It doesn’t have the polish of the IDEs made by companies like JetBrains (see below in the Premium section), but not much does. For a free option, though, it’s phenomenal. …you’ve already bought into the Adobe ecosystem. You will feel right at home if you’ve ever used any Adobe product regularly. Brackets feels like it is a part of Creative Cloud, even though it’s not. The UIs are similar, and it feels very natural if you’re coming from Photoshop or InDesign. Additionally, the Extract tool makes Brackets a near must-have for front-end devs who work with designers’ PSDs. Codeshare is an interesting product. 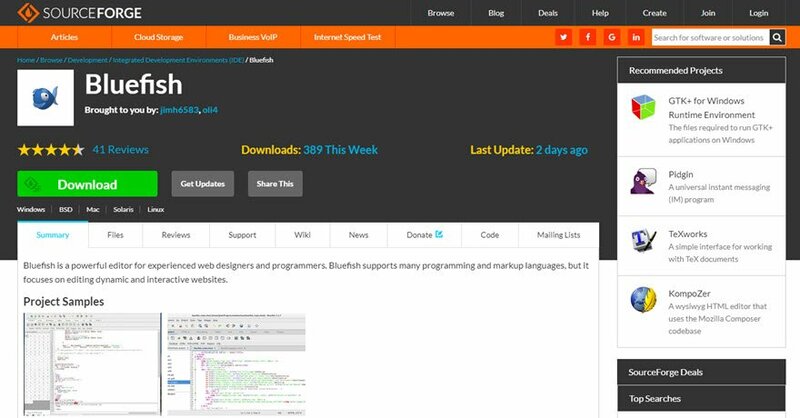 It’s a free, browser-based code editor that lets anyone code for free. If you create an account, you can even save your code. This is absolutely not a daily driver. You won’t be working on every line of code of a project in this one. But if you are on a different computer, perhaps, or need to share your code with someone, that’s the intention for the product. The company mentions it being for interviews and such because you can invite people to video chat with you, and anyone who joins can see you code in real-time. Educators could get a lot of use out of this tool, too. Additionally, they have dozens of themes and syntax highlighting for all major languages. Keyboard shortcuts are integrated, too, and you can choose your favorite set: Sublime, VIM, or Emacs. In that alone, you can see how it’s meant as a temporary replacement for your everyday editor. …you have a coding interview, need to jot something down in a hurry, using a strange computer, teaching someone how to do something, or just need a substitute editor for some other reason. Codeshare doesn’t have the features to be an editor that you use day in and day out. That’s okay. It’s not trying to be. It’s trying to be a temporary solution for when you have specific needs. And at that, it succeeds marvelously. The available features make it feel about as robust as Notepadd++ or another entry-level code editor. Which means it does what it does, and it does it well. Just don’t expect an IDE. 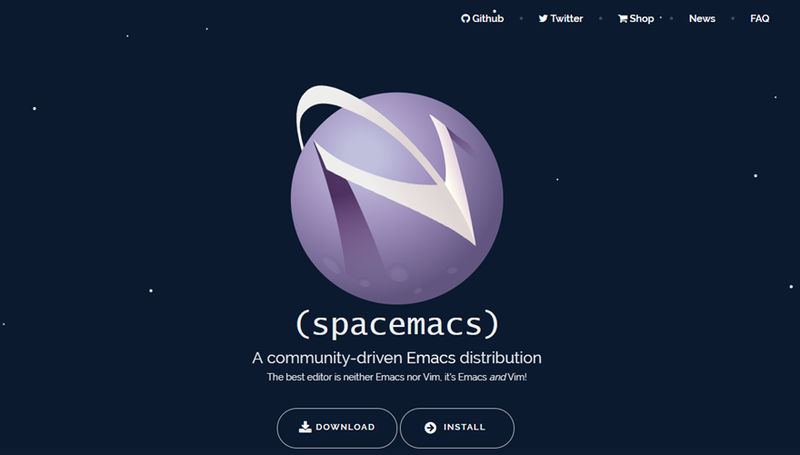 Now that you’re familiar with VIM and Emacs, let us introduce you to Spacemacs, whose tagline is The best editor is neither Emacs nor Vin, it’s Emacs and VIM. That tells you most of what you need to know about it right there. 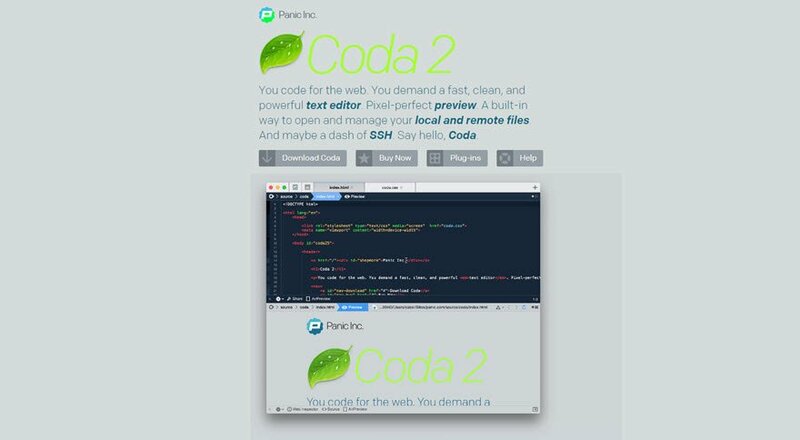 Instead of having to choose between the Pepsi and Coke of code editors, you get the best of both worlds in a new, open-source editor. Just because it combines the two into a nicer package than either has on their own doesn’t mean it’s any more accessible. Spacemacs is still absolutely not for beginners. It is complex and full of function over form, but that function is smoother in general than either of its constituent parts. The dev team and community have created a set of conventions and shortcuts for the editor that make it every bit as quick as either Emacs or VIM. If the idea of learning a hybrid of the two doesn’t scare you off, Spacemacs is totally worth looking into. And like its sources, Spacemacs is free, too. JetBrains makes good products. One of their best is PhpStorm, a delightful IDE designed to make a PHP developer’s life better in so many ways. PhpStorm is more than a code editor. It’s a full PHP IDE (integrated development environment), which means you get debugging, version control (Git, for instance), testing, error checking, intuitive code navigation, and so much more within the software itself instead of having to keep multiple apps for each task. PhpStorm excels in nearly every area that an IDE consists of. The interface is clean and smooth, the IDE itself feels far more lightweight than it is, and there is support for tons of frameworks. Joomla!, WordPress, Drupal, Laravel, Magento…basically if you work in PHP, your framework is supported here. But not just PHP. You can’t do most PHP work without Coffee, JS, HTML/CSS, and lots of other front-end code, so JetBrains makes sure those are covered, too. 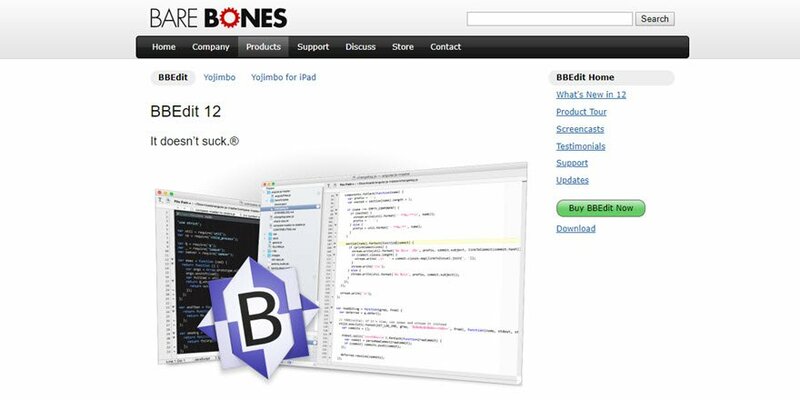 Basically, this is your one-stop shop if you work in a PHP framework. …you work in PHP. Obviously. But it is also for you if you don’t like to have to configure every last detail as you do with Atom or Sublime. You can install the IDE and start to work immediately. Or as close to immediately as is possible. While there is an annual license fee, you can try it out for a trial period, as well as keep a monthly subscription if you don’t do full-time PHP. The strongest selling points on PhpStorm come from its incredible power, speed, ease of use, and number of things you can do with it. Having been in development for over 15 years, if you work in PHP, it’s worth giving the free trial a shot. Like we said above, JetBrains makes good software. If you’re not a PHP dev, but like the way the PhpStorm IDE sounds, we think you should absolutely check out the full suite of JetBrains products. Most likely, there’s an IDE or product for you. PyCharm is one of the best Python editors out there, and RubyMine helped me personally move from an academic career and into one in tech. Whether you write in C++, C#, Go, or whatever else, JetBrains has you covered. 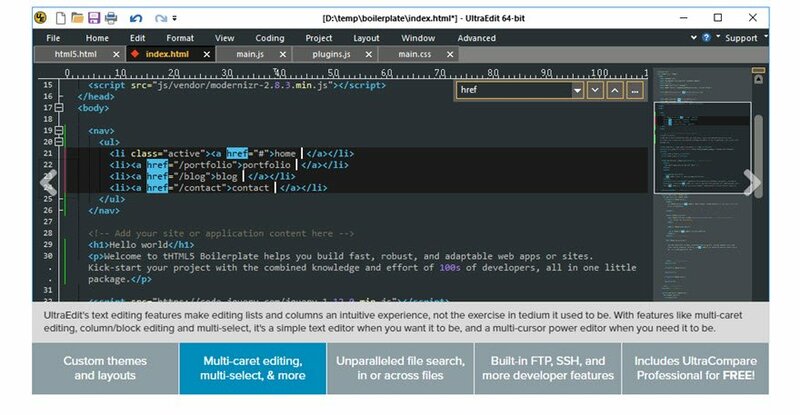 Instead of programming one IDE that can be customized into an environment for your specific language (such as VS Code), they are able to create the ideal software for each language’s unique quirks and quibbles. 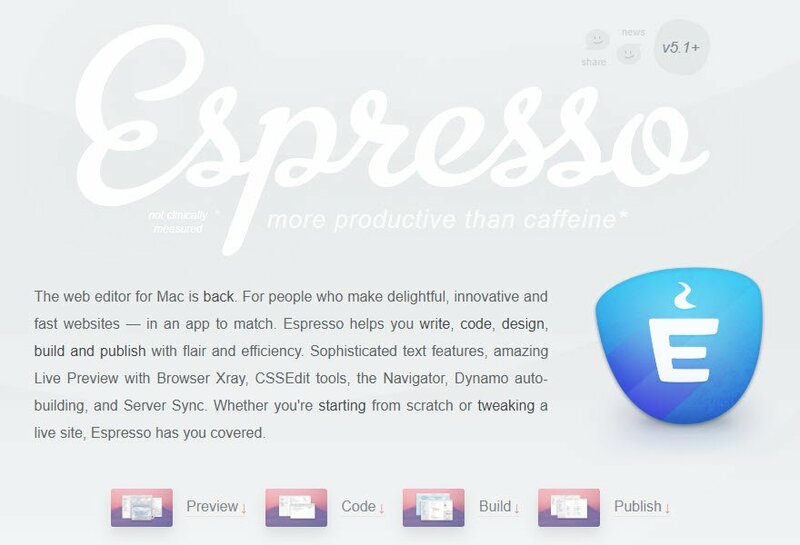 …you’re looking for a sleek, smooth, well-rounded IDE instead of a base code editor. They are premium products, yes, but they are worth the price. If you’re into total control, you may not like this kind of premium IDE, but if you want a great experience that just works, you have to give one of these trials a shot. Thank you for this. 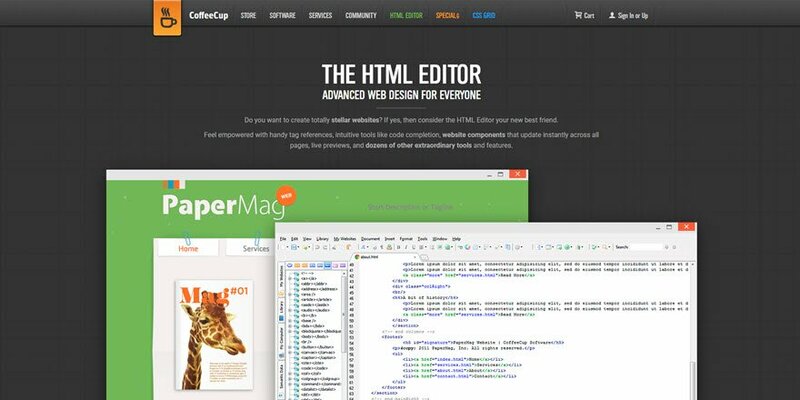 Which would you say is the best “starter” for someone new to code editors? You should definitely try vscode. Visual studio code is amazing. No Dreamweaver? I have tried many different code editors over the past 20 years but always go back to Dreamweaver. Atom is a mess in terms of performance and I don’t recommend anyone use it. Many of the packages for atom are available for visual studio code which has a better memory footprint then atom. Also, putting vim and Emacs at the bottom when they are the most feature compete text editors in existence is a bit of a joke. I have been using Atom for a long time. While using Atom, Sublime Text is always the second editor. I use Sublime Text when I need performance (Atom performance is bad when handling large files). Now I use VS Code, and I never use another editor again. Atom is my all time favorite code editor, I would like to add “Teletype” to the features you have mentioned for Atom which let developers work together from different places. Teletype *IS* a great feature. Kudos to the folks at GitHub for that one. What no Eclipse?? Best out there…okay…just joking…I use VSCode or Brackets. Brackets is my favorite editor, the only thing i don’t like is the icon. “Thanks” for this great list i,m using notepad++ but now i just found this amazing post i must check these softwares nice sharing!!! I’ve been coding since 1979 and I’ve used almost all the editors on your list but since the end of 2017, I’ve cut it down to VIM (or Vi) for ninja command-line sessions and VSCode for everything else… It’s that good. Currently using SublimeText and it’s got everything I need and works on all platforms (mac/windows/older and newer OS). In the past have tried Brackets. It was much too slow to load and also for some reason lags on keyboard input. BBEdit is pretty amazing but you have to pay for it. Coda was once a leader in this niche, but they’ve gotten lazy and it now feels sorely outdated.